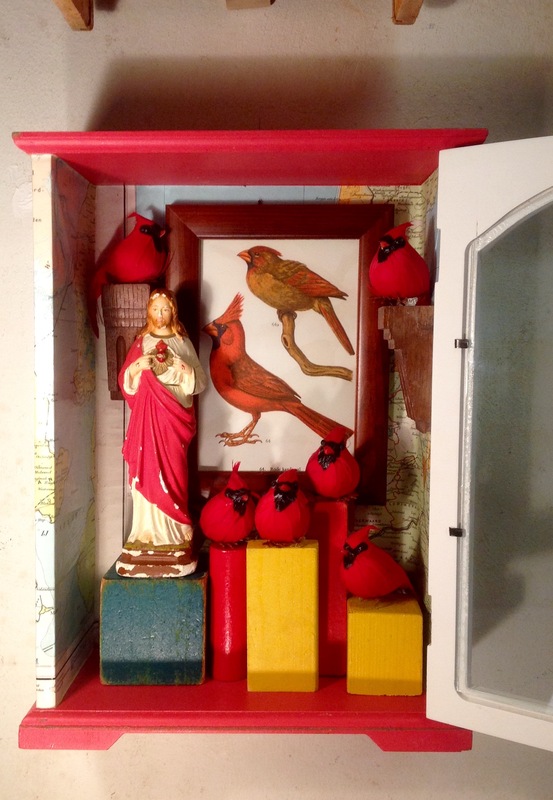 Jesus watching over image with male and female red cardinal. Chinese red cardinals on Dutch toys and antique. Box covered with old maps of parts of Holland. 21x32cm. 8x13inch.